Voyager 1's record remained unchallenged for nearly three decades after NASA turned off its cameras shortly after taking the legendary shot. However, an image captured by NASA's New Horizons spacecraft just smashed Voyager 1's achievement. NASA’s New Horizons spacecraft has broken the record for an image taken at the farthest distance from Earth in history. For the past 27 years, Voyager 1 has been the record holder for the farthest captured image in history. This was after the spacecraft took the famous “Pale Blue Dot” photo at a distance of 3.75 billion miles away from Earth. Voyager 1’s record remained unchallenged for nearly three decades after NASA turned off its cameras shortly after taking the legendary shot. However, an image captured by NASA’s New Horizons spacecraft just smashed Voyager 1’s achievement. On December 5th, 2017, New Horizons turned its Long Range Reconnaissance Imager (LORRI) to the galactic open star cluster known as the “Wishing Well” and took a shot. At a distance of 3.79 billion miles, or 40.9 astronomical units from our cosmic home, the image took the crown from Voyager 1’s “Pale Blue Dot” as the image taken farthest from Earth. What makes New Horizons’ momentous event even more interesting is that it broke its own record after just two hours. To date, New Horizons is the fifth spacecraft to venture beyond the outer planets. This means that most of its activities are bound to set distance records. The craft is currently on its way to Kuiper Belt to take pictures of the Kuiper Belt object (KBO) which was named 2014 MU69 on January 1st, 2019. According to NASA, this New Year’s Day feat will be the farthest planetary encounter in the history of space exploration. 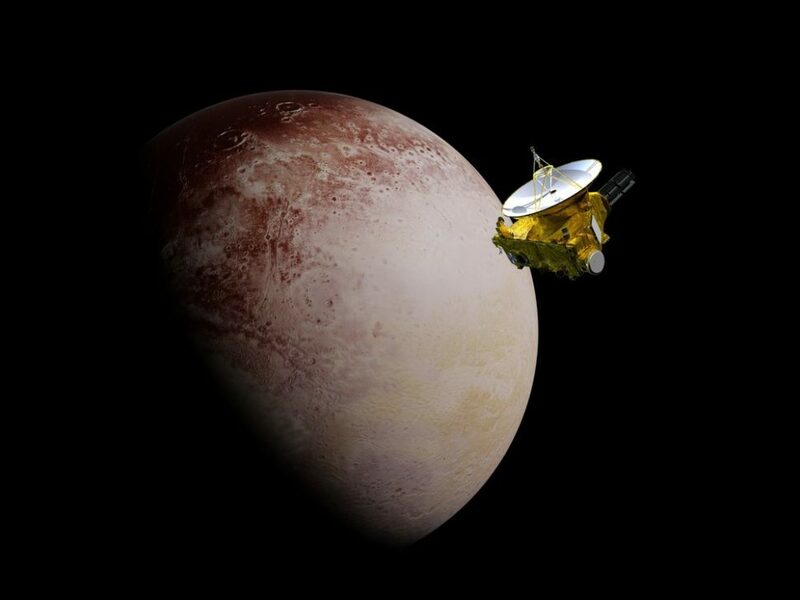 The mission will put New Horizons one billion miles beyond the Pluto system, which it explored back in 2015. While en route to the Kuiper Belt and just two hours after taking the record-breaking routine calibration frame of the “Wishing Well,” the spacecraft broke its own record by capturing images of the KBOs 2012 HZ84 and 2012 HE85. The photos were also the first close shots ever taken of the KBOs. During more than a decade of cruising through space, New Horizons has already made several flybys of planets in our Solar System. It’s on an extended mission that will last until 2021 as NASA deems it healthy enough to continue sending information from outer space. This also means that the spacecraft could break its distance record again. The NASA spacecraft’s power source is expected to sustain the craft until 2026. Should it surpass its extended mission, NASA plans to use it to study the outer heliosphere. Were you impressed by New Horizons’ achievement?